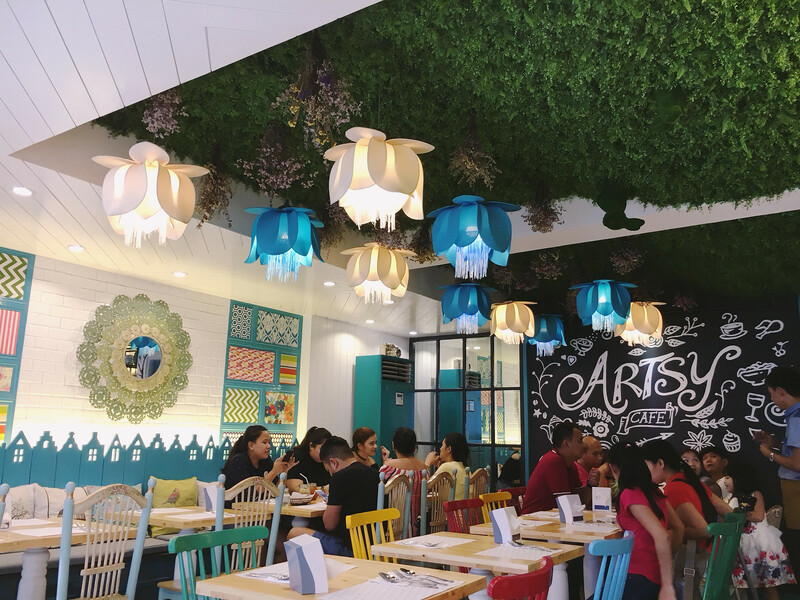 When I heard about the newly opened Artsy Cafe branch from Zomato, I immediately added it to my must-try resto list. 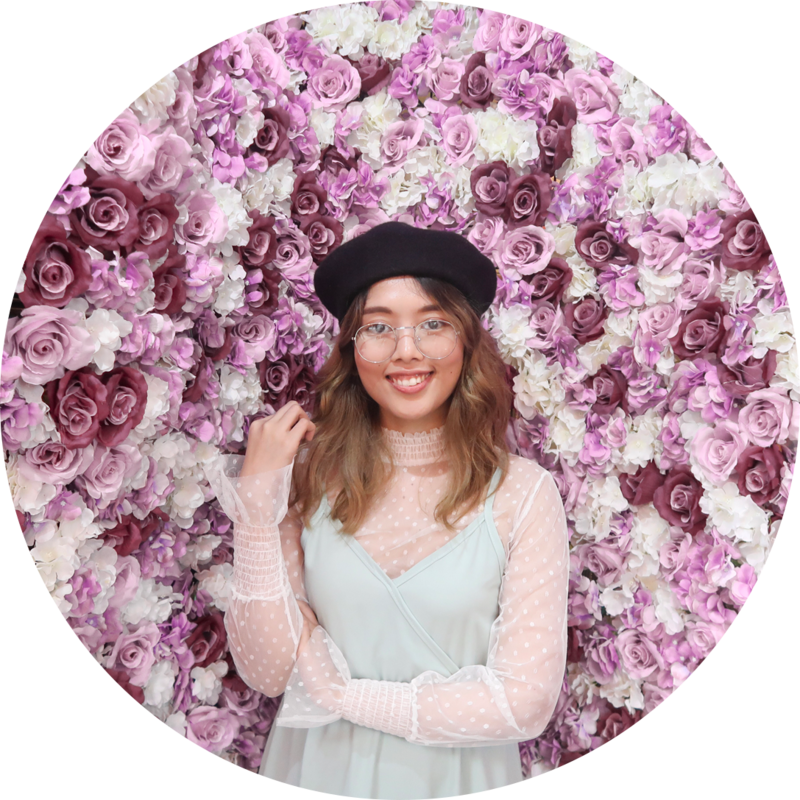 Continue reading to know more about my (good or bad?) 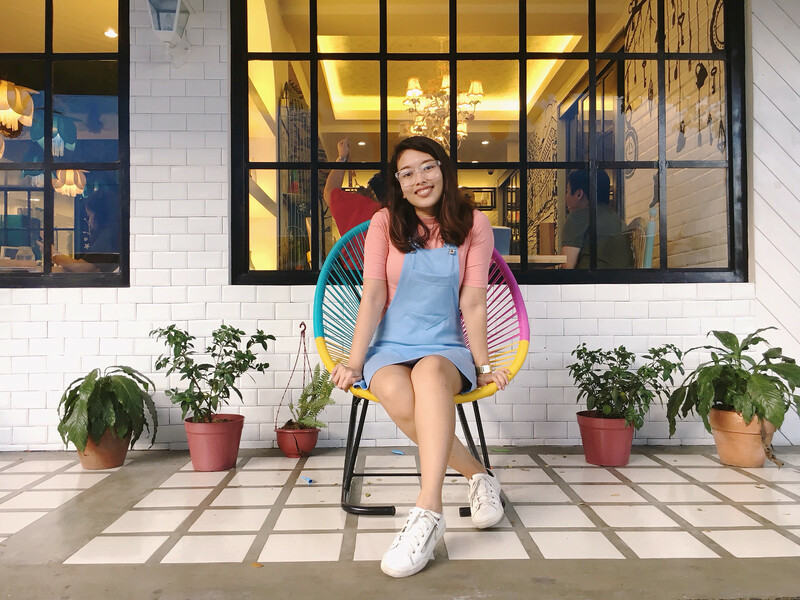 experience in Artsy Cafe, Paligsahan, Quezon City! 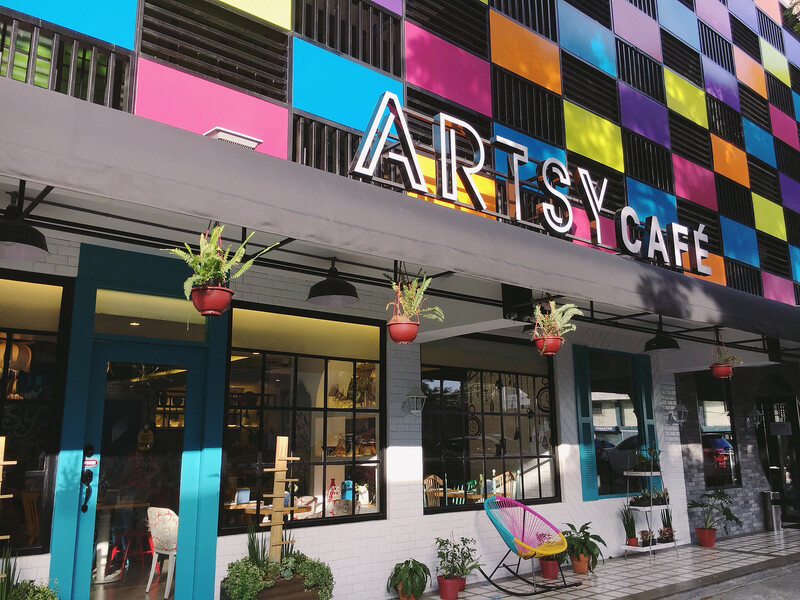 Artsy Cafe is known for its quirky and artistic decor. The first branch opened in Maginhawa Street, UP Village and the latest one opened in Panay Avenue, Paligsahan. The latter branch is quite bigger and a huge private dining area is available for reservation. If there are no reservations, they open it to the public. Through those doors is the reserved private dining space. 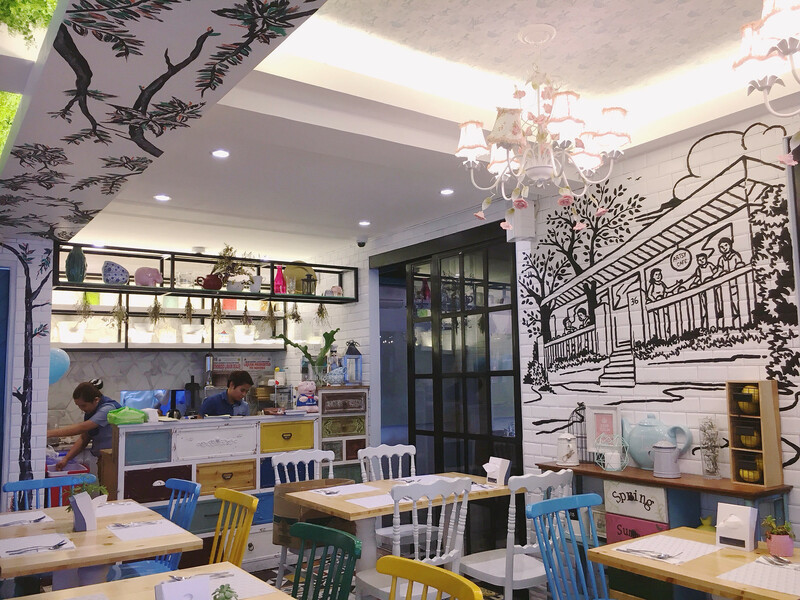 The interior is similar to Vanilla Cupcake Bakery's style, but Artsy Cafe has a more neutral yellow-and-blue palette, not too girly compared to the other. Each table is unique and has a different setting. 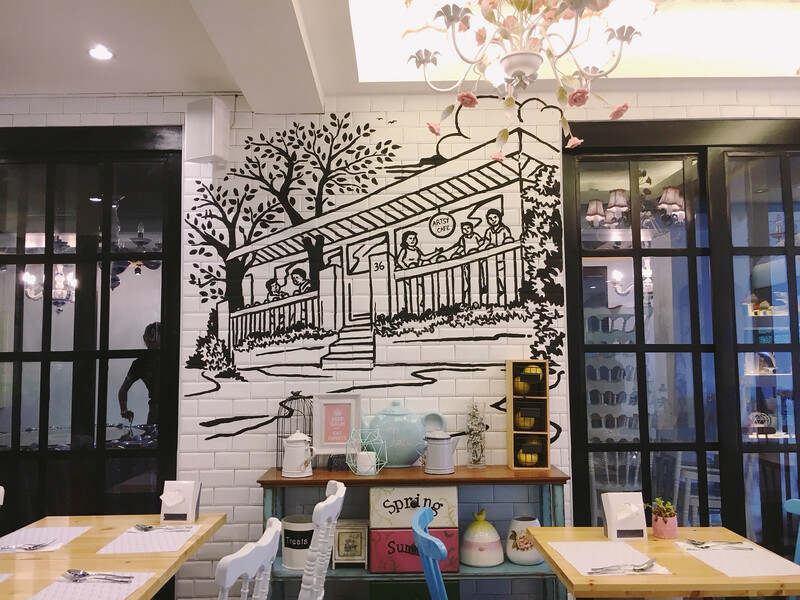 Similar to the first branch, the walls are painted with bold black and white sketches. They even have little patio with cute furniture and succulents that I used for my much needed little photoshoot. LOL. To my surprise, Artsy Cafe's service is extremely disappointing. When we first entered the cafe, no one immediately assisted us into our seats, we waited for a while and just entertained ourselves by taking pictures of the place. Good thing we arrived a little early for dinner, the place was not yet jam-packed. The crew did not attend to our needs at all. At one point, the waiter just placed our food on the table near us where no one was sitting, instead of asking us who ordered it and placing it in front of us. I find their service not warm at all, and they seemed to be pretty hassled with their customers. Last thing I want to mention is when the place got full, a number of people just waited at the door, no one was assisting them and assuring them that they will be seated. 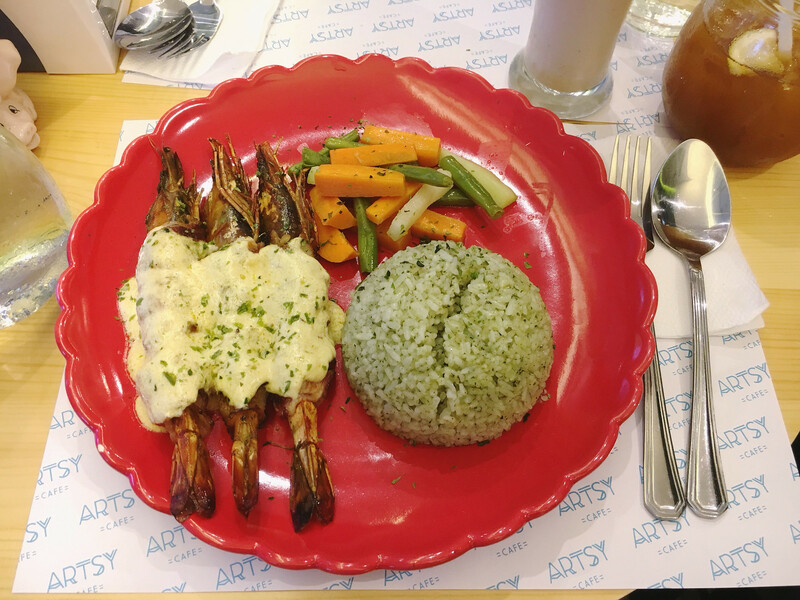 Artsy Cafe offers a wide range of affordable courses - finger food, mains, and desserts. The food is actually quite budget-friendly. 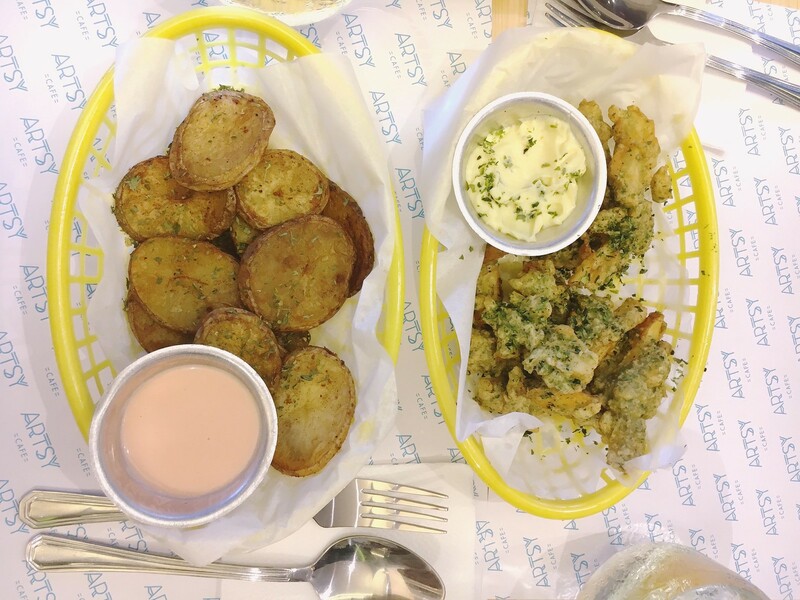 Their starters range from PHP 90-250, entrees are from PHP 130-350, and desserts from PHP 40-120. Heck, my wallet was so happy that day! 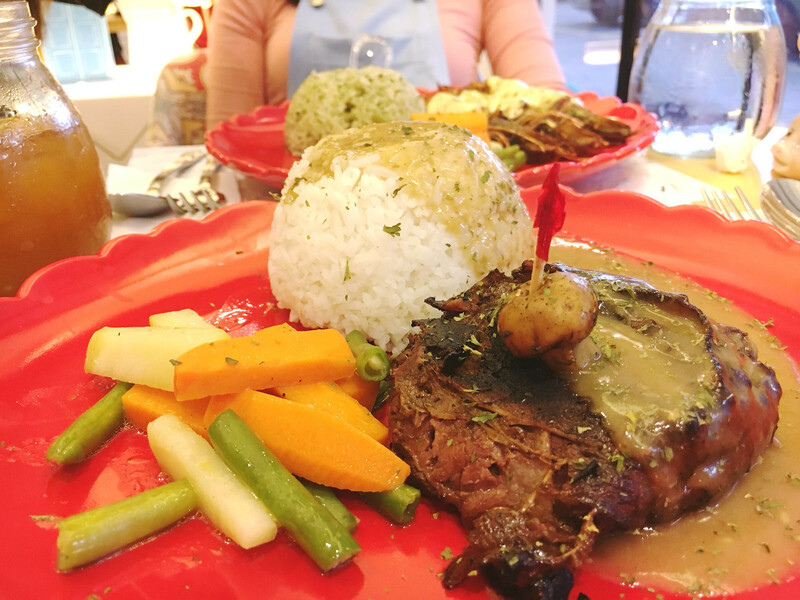 I was so used to discovering new restaurants with great interior but their food is very pricey - overpriced even for some, and I'm glad to try a new restaurant like this that serve budget friendly treats. You can view their menu here. I apologize for the bad flatlay, we were just really hungry and everybody was complaining that I was taking a lot of pictures already. So, I settled for this. Good for sharing. However, don't expect these to be thin and crispy. The texture is similar to Shakey's mojos - thick and oily. Good for sharing. I wasn't really certain if they were potatoes because it tasted like fish fillet with breading and nori on top. Weird for me. Bacon-covered prawns. I was shocked because bacon wasn't mentioned in the menu, I thought cajun meant grilled with a special sauce. However, bacon being bacon, I think it overshadowed the subtle taste of the prawns and made the dish a little too salty. Still, the plate is worth its price. Very worth its price, the steak was well done but still tender. The steak sauce was creamy and tasty. Although, vegetables tasted like they were uncooked. The rice bowl's size was enormous. The sauce was sweet and I think it's worth its price. 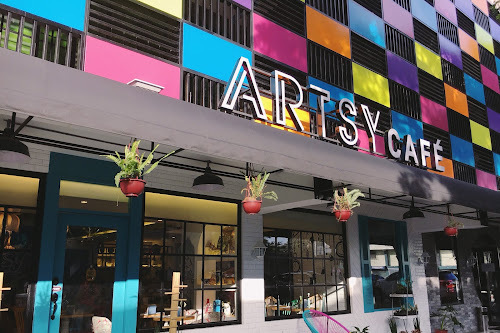 Artsy Cafe is a unique good-looking cafe with instagram-worthy decor and affordable food but when it comes to their service, they are still not fully ready. They need to improve their service to keep up with other new great cafes here in Metro Manila. 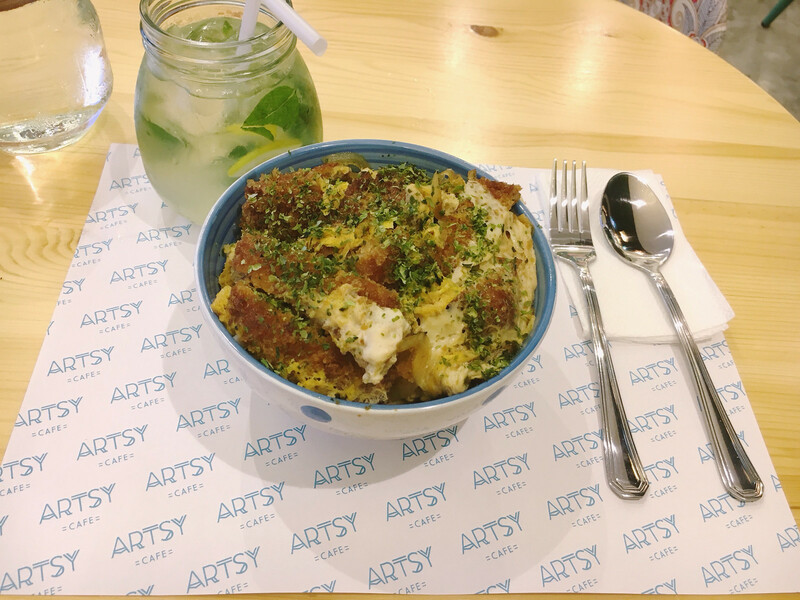 Have you visited Artsy Cafe? Care to share your thoughts and experience? Drop 'em below! Got the same treatment from them. It is jampacked when we got there and no on is even assisting us. I need to call the waiter's attention pa. We waited for the food for 20 minutes+ then they brought the desserts with it even I said na for later yun. So our dessert melted. And oh, they forgot our milkshake! Even the bill took about 10 minutes. 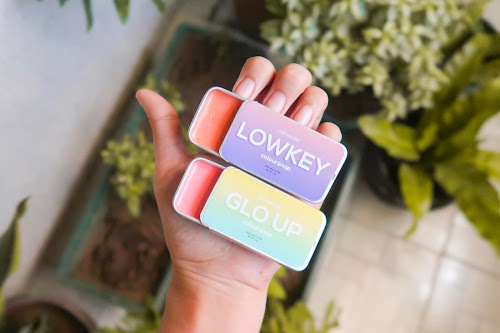 Gusto ko na nga lang umalis at wag magbayad. 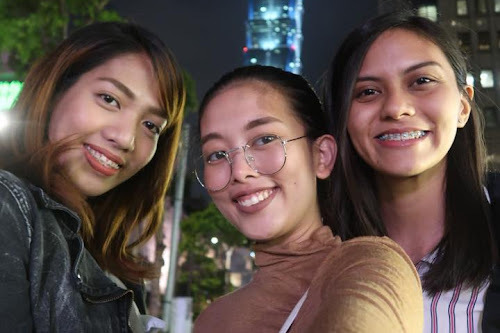 Surely, di nila mahahalata din. haha They really should improve their service. 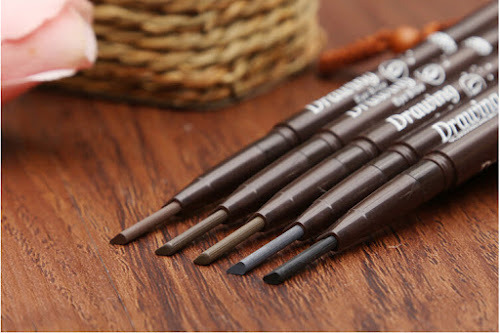 Omg, yes! Our bill took a while, too. Nakakainis pa dun, kapag tatawagin ko ang isa sa crew for a follow-up/bill, hindi siya masaya as in parang ikaw pa ang mahihiya na tinawag mo siya. Sad. I love the interior of this place, looks amazing and I love the colours they chose! Too bad for the service but the food looks delicious! 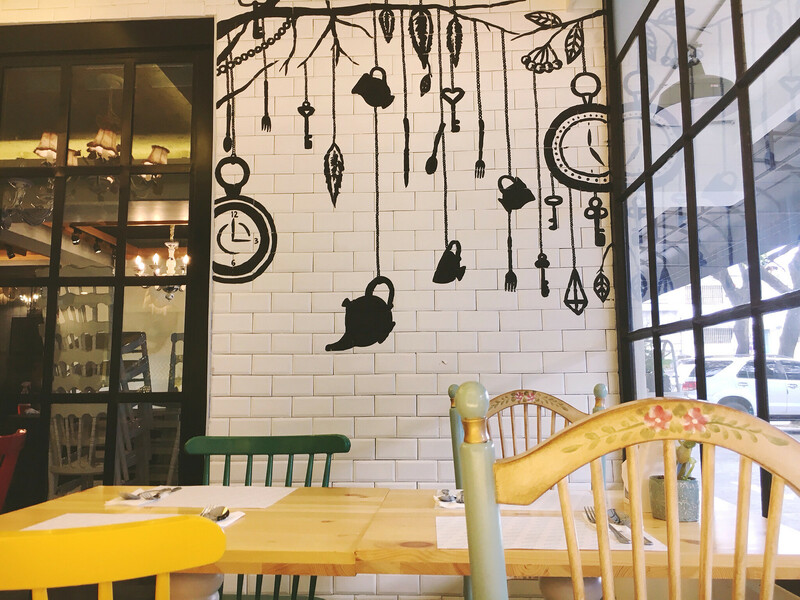 The decor looks really cute and the food tasty, too bad the service sounds so bad. Hi Carina! Thanks for reading. :) I hope they improve their service soon! This place looks so cute and the food looks delicious. Too bad about the food tho, haha. This place looks really nice, hoping they improve on their food. Thanks for the honest review. The place looks so cute and the dishes very mouthwatering. What a pity the service there is not really pleasant as it looks indeed amazing and very cool there! But obviously also the food was not perfect ... thanks for sharing your experiences. Wow this place looks absolutely amazing! Love the exterior the most but the food also looks incredible! The place and decoration look great, I liked the name as well, but the service seemed to be really bad. And although the price was good, you had some concerns about food... I think it's nice to give it a try, maybe after the review they change some points and get to be really good, hopefully! Hope you have a great weekend! 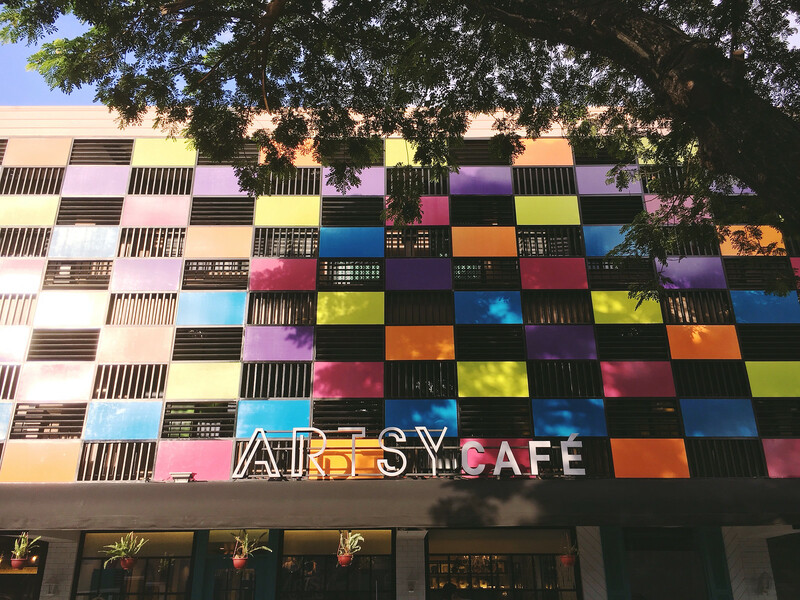 This café surely looks artsy! I love the decoration and I bet I would love to spend time there. awesome post, the food looks amazing!